As with any medicinal product, you must pay special attention and use carefully. Use for all types of stomach complaints and general health! Herbal tea has lots of wonderful health benefits. From soothing a troubled tummy to easing insomnia and calming a troubled mind, herbs have all sorts of healing powers. Drinking herbal tea can also be a great source of vitamins and minerals. Herbal tea isn’t really made from tea, which is a specific kind of plant. The word tisane is more accurate, since herbal tea is an infusion of leaves, seeds, roots or bark, extracted in hot water. When we drink a well-steeped herbal tea, we get all the plant’s benefits in an easily digestible state. We get more benefits from a good drinking herbal tea than from taking vitamins. Steep your loose tea long enough, in some cases, as long as 10 to 15 minutes, to really bring out all the healthful properties. Cover the vessel to lock in the properties. 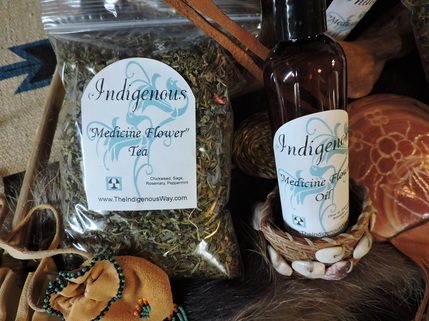 For centuries, the indigenous people right here in the north east coast of American have used herbs and spices to enhance the taste of food and drink, and to help and heal their bodies, as well. Passed from generation to generation, the wealth of information about the healing powers of this herbal blend for our physical, mental, emotional, social, and spiritual selves continues to hold true today. 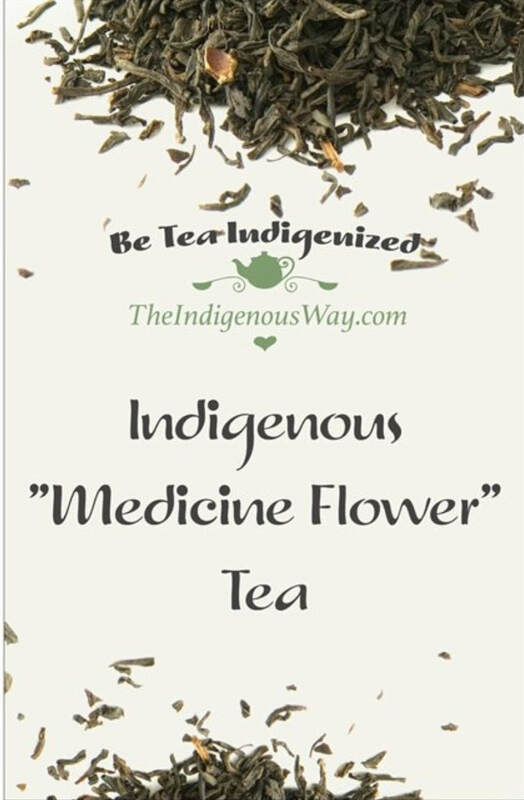 As you drink Indigenous “Medicine Flower” Tea, you are giving your body the building blocks it needs to manufacture tissues and hormones necessary for good health. If you drink tea every day, you can make a significant change to your mood, your skin, your well-being and energy. 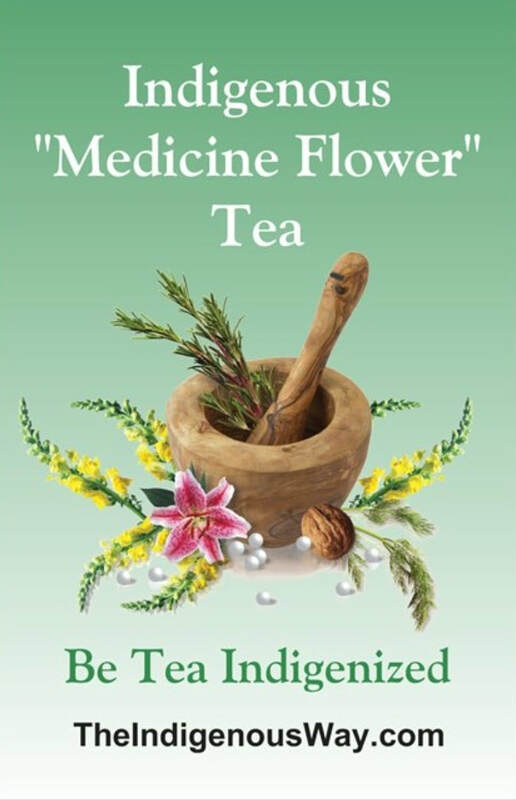 When you drink “Medicine Flower” Tea and combine this with “Medicine Flower” Oil, your senses will be pleasantly stimulated... the warmth of the cup in your hands... along with the feel of your smooth skin… the aromatherapy of the wonderful fragrances combined... and, the calming effects of a whole body experience. "Medicine Flower" Oil and Tea!